You can help us by using: www.smile.amazon.com. Amazon will DONATE 0.5% of your order to the USNEF Foundation. The SMILE link, button above, or the one on our DONATE page will take you directly. Amazon-Smile is the Amazon you know, same products, prices and service, and it will use your normal account processing. VIP data: Rebranding nuclear technology, Nevada's I-11 interstate. The NuScale SMR safety resilience, & desalination technologies, TWR physics. We have begun withdrawing from our sword fight competition of “political opinion” and media reaction. Instead, we are refocusing on documenting factual analysis of data concerning nuclear technology, Yucca Mountain and the feasibility analysis of a commercially viable reprocessing energy center which might include wind, solar, and the new (SMR) Small Modular Reactor technology. This is the type of information necessary in order to provide the grassroots public with the material they need for a “REBRANDED” knowledge of nuclear technology. Fairly often I happen to review articles that really fire me up. And, yah, it’s me, I just can’t run silent. This is a loser published by GreenBiz. 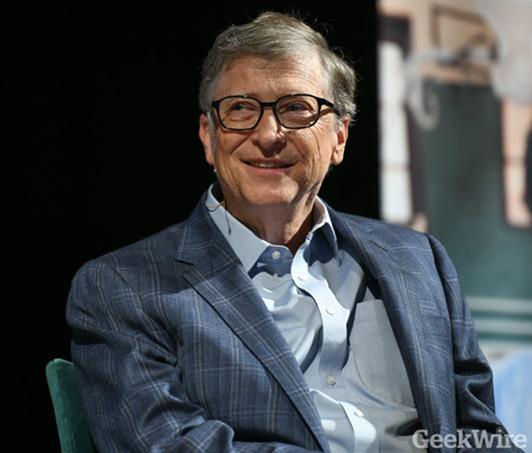 They are slamming Bill Gates for lobbying Congress about reviving nuclear power. Most of you know that USNEF has been pushing this bandwagon for the past decade. It is unfounded stories like this that need to be discredited and my critique of their article has driven this home. You can review my critique on our website OP-EDs Articles page, just below the GreenBiz article link. The PDF is in the bottom of the right column. We got 8 of us together for our INL tour, 4 from Nevada and 4 from Idaho. I would like to thank them for joining our US Nuclear Energy Foundation tour of the Idaho National Laboratory. This tour group is a unique “class” 4 people from Northern Nevada and 4 people from Eastern Idaho our challenge is to get a grassroots overview of the new nuclear technology and the merits of the engineering and safety of spent nuclear fuels and the Yucca Mountain Nuclear Repository. Having established this process for grassroots nuclear education, we will be adding more tours to supplement our other ongoing activities, grassroots presentations, advanced reactor, and Yucca symposiums, educational print collaterals., etc. 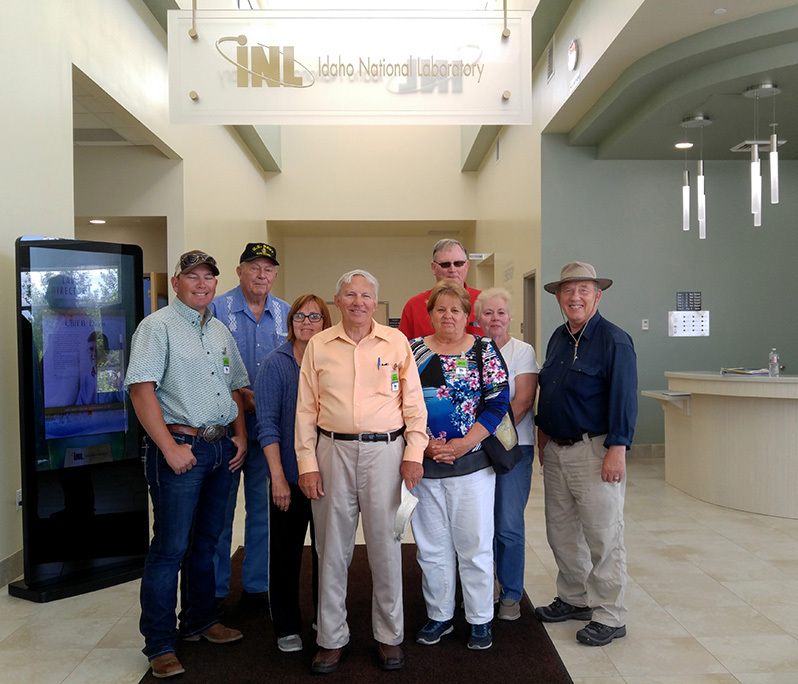 We also want to thank, a great team at INL: Amy Lientz, Sara Prentice and our tour guide, Ryan Weeks, all very encouraging to our mission and grassroots nuclear education. LINK TO THE PDF INVITATION BELOW the photo above. 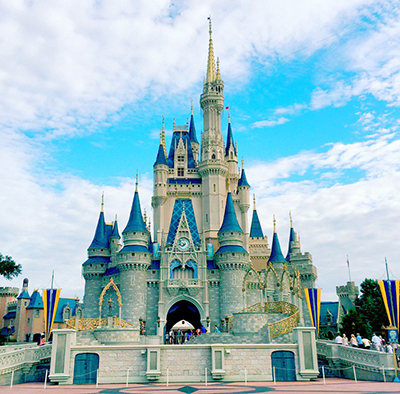 Nuclear Technology on "Face the State"
In 1967, the State of Florida passed a law allowing Disney World to build a nuclear power plant. As bizarre as that sounds, it is more of a testament to the political power of the Mouse than anything nuclear. But they should explore an SMR to really go green. engage the grassroots public in order to rebuild public policy! These links will jump to those web pages. Review some of the "public comments"
Why did we miss the boat? 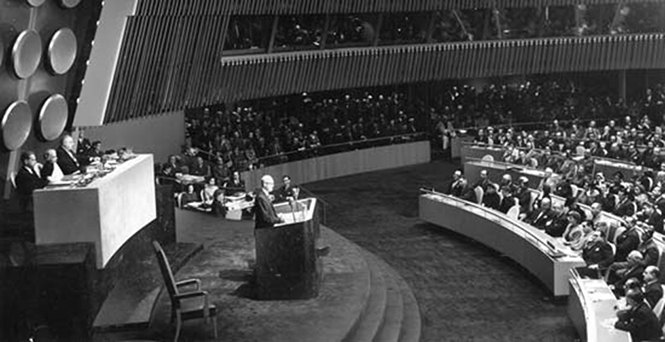 Government and the industry worldwide must rebrand President Eisenhower’s Message “Atoms for Peace”. Clean nuclear has provided nearly 20% of our nations electrical power over the past 50 years. Plant upgrades have increased production output efficiency by 20% without adding new plants. Radiation technology has extended millions of lives through cancer treatments. We have to teach the grassroots that nuclear power is a renewable energy provider. In 1983, Dr. Cohen proposed that uranium is effectively inexhaustible, and should therefore be considered a renewable energy. The public seldom realize that our largest body of uranium exists in seawater, it is extractable and this research continues. Similar efforts continue with our research of reprocessing nuclear waste. The biggest task remains, How do we educate the grassroots public? Our USNEF presentation to the Advanced Reactor Technical Summit III has helped us focus more on the detail and programs we can produce for nuclear technology worldwide. The current discussion is indicative that public grassroots outreach is of growing importance to public awareness. In order to advance this messaging, we hope to rebrand nuclear power by developing cooperative programs with the industry. Why is engaging the public important? Congress and senate are educated by industry lobbyists, advisors, etc. What the industry and stakeholders should consider is, when Senators and Congressman return home for Constituent visits, an educated public on nuclear technology and many ISSUES may be just as important as the beltway influence of lobbyists and advisors. This way, our representatives get an opinion from the business community in D.C. and their constituent community at home. It is increasingly important that constituents engage our representatives. Community friendly is, "a place where people balance truth". The world discussion of climate change, from all causes, must include nuclear power. Sixteen states continue to have restrictions against the construction of new nuclear plants. This arithmetic is not political, it is fact. We must realize that goals for clean air and clean rivers from pollution caused by coal fired plants CANNOT be met without developing new nuclear power. Our mission has to rebrand nuclear outreach advocacy. It is very important to accept the nation's need for a national nuclear repository. We are spending the rest of this year pitching the NEED for grassroots education about nuclear technology. There is NO best place on earth for a repository, there has to be a reasonable place and this requires an educational outreach to the grassroots public. 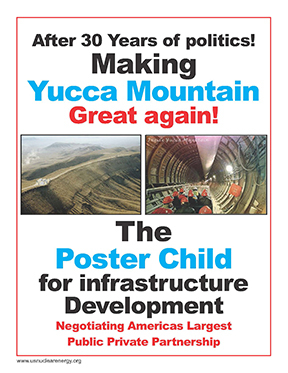 Yucca Mountain Nuclear Repository and advanced nuclear technology to many candidates. our grassroots public about next generation nuclear technology, help us advance this mission. Aside from our nations need for a national repository, our presentation at Oak Ridge identified a growing need for the industry to recognize and address a new need for grassroots public policy. For a decade the US Nuclear Energy Foundation has been an advocate of nuclear energy technology and completion of the Yucca Mountain study for America’s nuclear waste. Our mission has been three-fold: 1) Inform Nevada political and national stakeholders that our foundation supports completion of the Yucca Application Review Process. 2) Inform the nuclear industry, associations and business stakeholders that a community friendly process will come through grassroots education. 3) Inform our citizens on the facts of the Yucca science & engineering research. See our list below, A Decade of Outreach on nuclear energy advocacy. Our mission is to establish truth, character and integrity in the materials we produce. Character and integrity must be at the forefront of every facet of government, agencies and business. There is no best place on earth to store nuclear waste. So, a resolution has to be accepted for 2nd, 3rd, or 4th best place and we need to move onward. A reassessment of what we have and a public educational program that will engage the public. There is significant theoretical science which indicates that within 30 years 4th generation molten salt reactors will be capable of converting-burning all of our nuclear waste into safe carbon free power. The objection, that nuclear waste needs safe storage for thousands of years is soon to be eliminated. Regardless of this, the need for a repository continues to exist for a 6% remaining of burnt or reprocessed waste. Our governmental agencies and National Laboratories are established and designed to serve America’s public. Political representatives are for the oversight of “our agencies” NOT micro-management of them. We have to rebrand our grassroots communications from partisan politics to “issues education” and separate science & engineering from bureaucratic micro management.